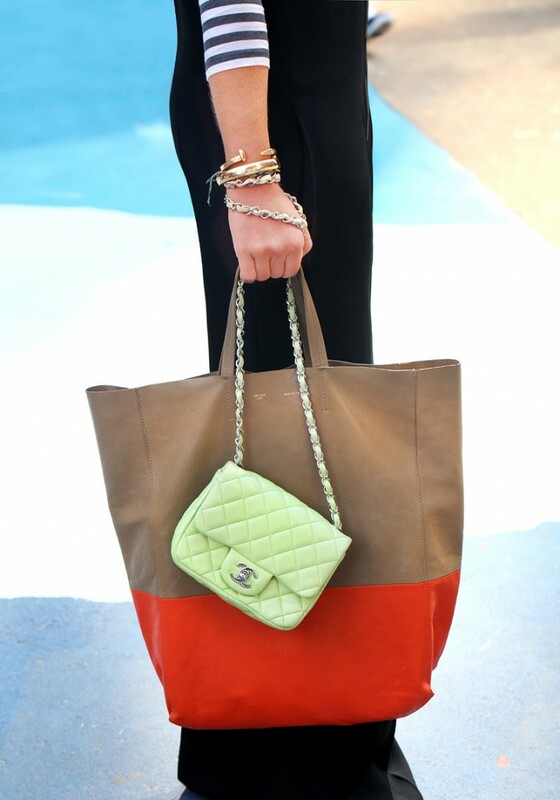 Absolutely LOVE the pop-hued mini version of Lanvin’s iconic ‘Happy’ bag! 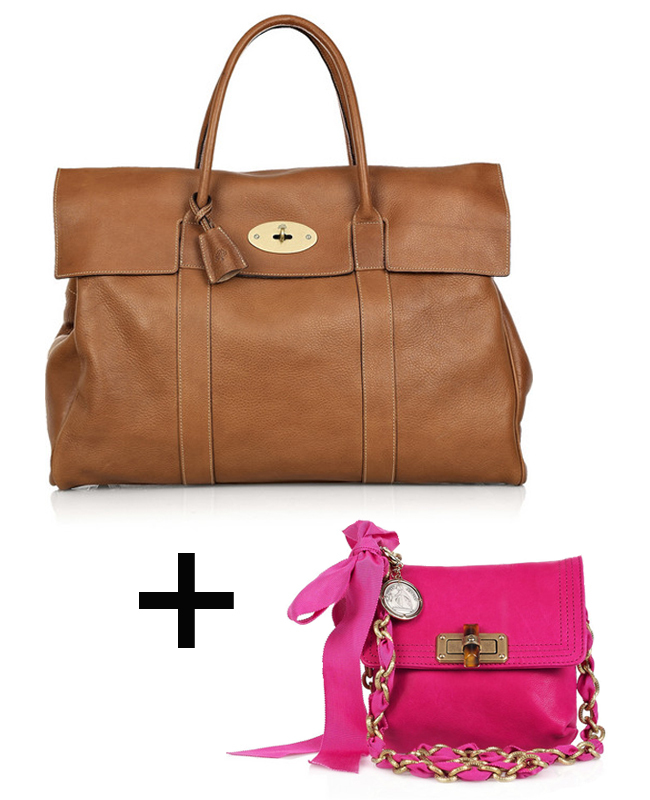 Since it certainly doesn’t fit much of my stuff (close to nothing actually) I would complement it with an oversized classic carry-all from Mulberry. The soft, tan vintage leather leaves the floor to the rasperry pink tone. Topping my list of must-buy bags is the mini shoulder bag from Valentino’s Rockstud collection. 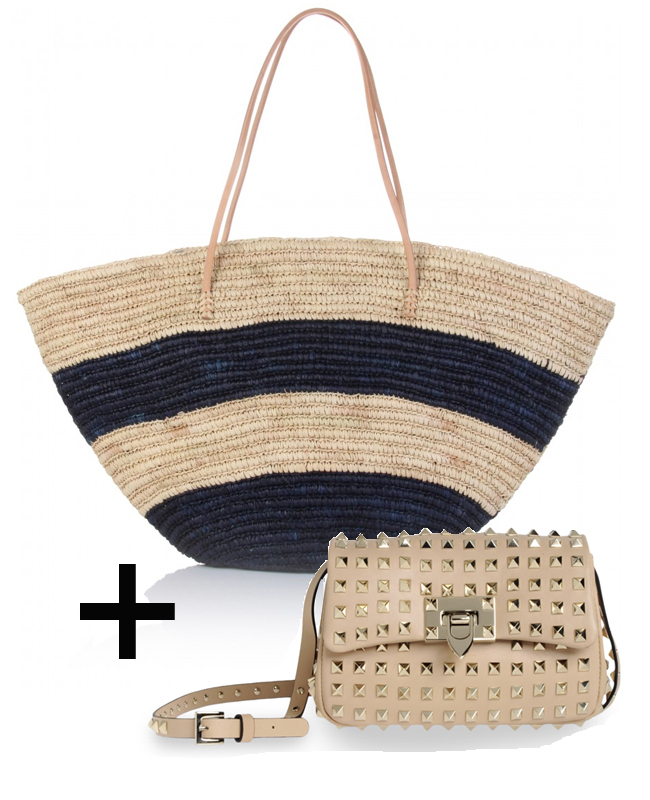 I think it would perfectly work for the office when teamed with this raffia beach tote that easily fits my ballet flats, magazines & a bottle of Evian. Feeling very drawn to the wristlet trend lately. This black leather Alaia model could be pinched straight from the Olsen Twins’ closets. And since it’s a little too precious to be limited to after-dark occasions, the Kate Mouse print tote bag with black leather straps (exclusive to Liberty!) makes a nice & roomy addition. And we know there’s only one Kate in London, right;-)? Mama mia – amazing post!